I am fortunate to coordinate a Book Club made up of a number of erudite and voracious readers. I come away from every meeting with some new insights, some new authors, and an all-around fun evening. 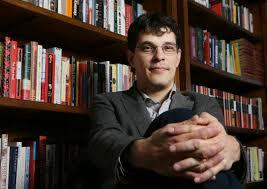 This past month I was introduced to Steven Galloway, a Canadian novelist and a former professor at the University of British Columbia. He has won several awards for The Cellist of Sarajevo. This novel, a bit over 230 pages, is packed with an intensity I relish in a good read. The novel is set at the height of the War in Sarajevo. The city is in ruins, and mortar shells rain down and snipers seem to be around every corner. The novel opens with, “It screamed downward, splitting air and sky without effort. A target expanded in size, brought into focus by time and velocity. There was a moment before impact that was the last instant of things as they were. Then the visible world exploded. // In 1945, an Italian musicologists found four bars of a sonata’s base line in the rubble of the firebombed Dresden Music Library. He believed these were the work of the 17th century Venetian composer Tomaso Albinoni and spent the next 12 years reconstructing a larger piece from the charred manuscript fragment” (xv). According to this introduction, scholars are divided over the authenticity of the piece. We know it today as “Albinoni’s Adagio,” music of sublime and moving beauty. Four main characters weave tales of the terrible destruction of Sarajevo. Kenan, a man trying to keep his family and friends with enough water; Dragan, a soldier directing the defense of the city; Arrow is a young woman who has been recruited as a sniper; and a musician known only as “The cellist.” When a surprise mortar attack kills 22 people lined up for bread, the Cellist begins playing the Adagio for twenty-two days—one for each of the 22 people who died. Arrow is assigned to protect the cellist. Galloway writes, ‘[Arrow] reaches down and picks up a small piece of glass. Glass is disappearing from the city. […] One pane at a time the windows through which people see the world are vanishing. // This is how she now believes life happens. One small thing at a time. A series of inconsequential junctions, any or none of which can lead to salvation or disaster” (82). Arrow is an excellent sniper. After a while, she has an existential crisis about killing. She decides to quit and try to escape the city. Dragan reminds her she is a soldier, and he commands her to follow his orders to shoot as ordered. She prefers finding her own targets, but Dragan insists. Kenan lives in his apartment with his wife Amila, and he must travel every day for water. Galloway writes, “Another day has just begun. Light streams its way into the apartment, where it finds Kenan in his kitchen, his hand reaching for the plastic jug containing his family’s final quarter-liter of water. His movement is slow and stiff. […] Like him, [Amila’s] middle age has somehow escaped her. She’s barely thirty-seven but looks well over fifty. Her hair is thin and her skin hangs loose off her flesh, suggesting a former woman, who, Kenan knows, never was” (13). Steven Galloway’s taught novel is hard to put down. The tension is on every page. The Cellist of Sarajevo is a story you will not soon forget.